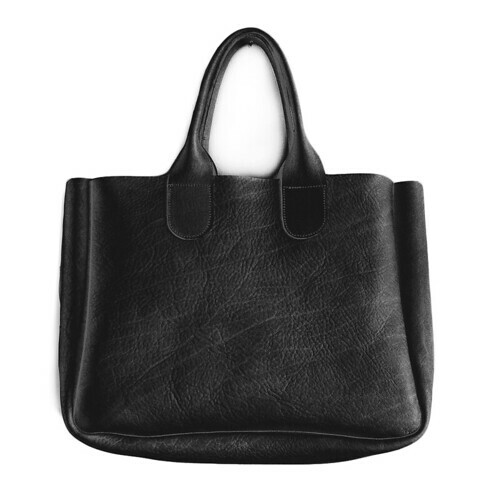 The Gretel Tote is now available in Black Vegetable tanned leather. Due to some requests I've also added the option to have a 7" or 9" strap drop. I'm really excited about the great response from the three new dresses. I've run out of the original metallic linen I used for the Shoreline dress and have replaced it with an almost exact color match of a linen/silk blend. Like the previous fabric, it also has a subtle sheen to it. And now, the the dress is available to order in both black and white linen. If you are looking for another color feel free to email me for choices. Thanks again for all your great feedback the past few days about manufacturing - it has been very helpful to hear your thoughts and suggestions.